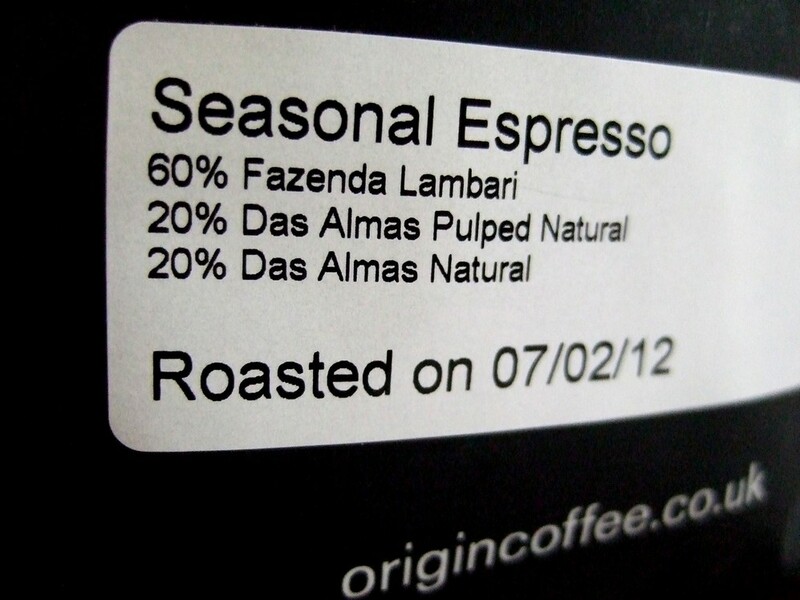 These few weeks right now see an exuberance of different coffees appearing as my espresso selection for the cafe. After quite a long time (for us!) with the wonderful Winter Hoard, I am now using many new coffees, and really mixing it up. 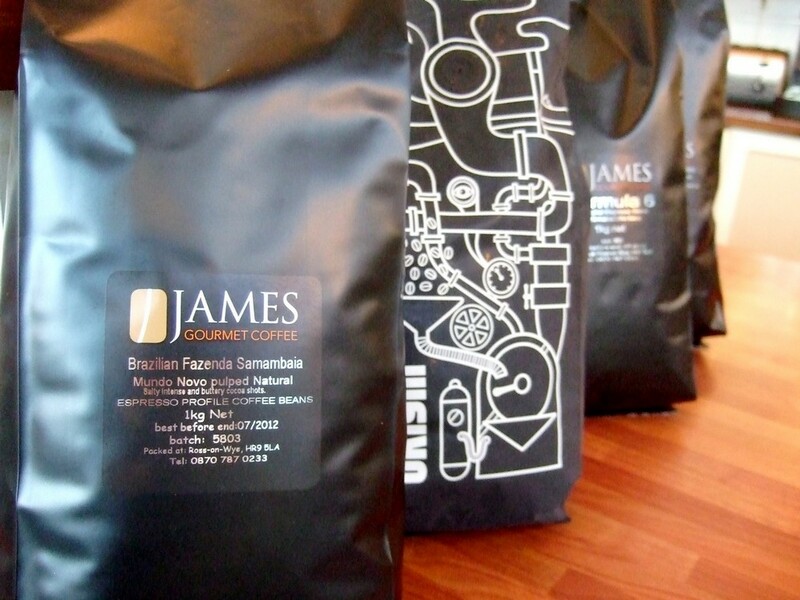 At the moment, these include Fazenda Samambaia from Brazil (chocolate, salty-caramel, buttery), Formula 6 (currently featuring 6 farms) (depth, rich, chocolate, caramel, fruit, buttery), Caffe Naturelle (featuring Kelenso Mokanisa turning seasonally into Suko Quto Estate, and Finca Bourbon) (wow! sweet, soft citrus, ripe, clean, fruity, soft stone fruit, juicy, floral, delicate), Finca Suiza (tart, juicy, cranberry, red and black currant, citrus), Caffe Limone (featuring Santa Rita, El Salvador, and a lot from the Illimani region, Bolivia) (sweet, bright, ripe, lemony citrus, creamy-delicate with milk), and I have also arranged a (short) week of coffee from guest roasters, Origin in Cornwall (currently a Brazilian blend of naturals and pulp-naturals), coming up soon! I have logged a lot of data with the Scace during January and February… This has been fantastically useful. Really. Is ‘revelatory’ overused? I have now returned it to our roaster. And Gloria has received a lot of care and attention recently too! With more nips and tucks to come! She’s feeling pretty spruce, all in all, and it shows. And good luck to all those entering the UK Barista Championships this year… there are a few people entering again, who I know will do great things! People do ask, but no, I’m not entering! I still feel I’ve achieved everything I want to in competition for the moment. There is so much that is positive about competing, but it’s also a lot of expense, and a huge amount of work to do well. Also, the theatrical and competitive aspects of preparing coffee on a stage are not necessarily something I naturally gravitate towards, just for the sake of it. Hence it’s not something I’m going to do every year …but at some point I might enter again! For the time being, I’m dedicating my attentions towards continuing to further my learning and understanding of my craft outside of the sphere of competitions (through continual practice and research both in the cafe and at home), and to both maintaining and constantly refining what I do as head barista and trainer for all our staff, and for our customers, at the plan cafe, which is also a lot of hard work, and a full-time committment. This does mean I don’t get to see as much of the wider coffee community though; the competitions can be a good place to meet with lots of other people who care about great coffee! Finca Suiza continues to be my coffee of choice for home right now. I have to say I prefer this coffee as filter. Just wonderful coffee! This entry was posted on March 1, 2012 at 8:35 pm and is filed under Uncategorized. You can follow any responses to this entry through the RSS 2.0 feed. You can leave a response, or trackback from your own site.